Kyle, Texas Movember event at Milt’s Pit BBQ: Movember 24th from 6-10 PM. Wood-smoked barbecue, live music, a silent auction and free beer while it lasts. Million Mo March at the Texas State Capitol: Movember 27th at 12 PM. March around the Capitol with your whole family to raise awareness for Movember. SoCo Mo Happy Hour at Handlebar: Movember 28th from 6-9 PM. 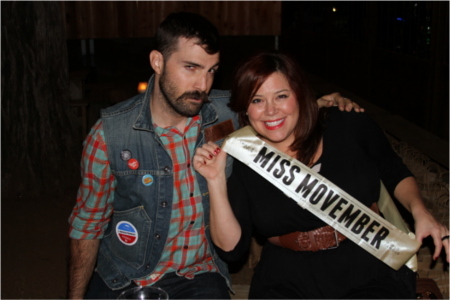 Official Movember Austin Gala Parte at Emo’s: Movember 30th from 8 PM-1 AM. Movember costumes, Movember Austin awards, and a celebration of our month-long campaign. Tickets required. Moustache vs. moustache event at Festival Beach: December 1st at 9 AM. Final Movember party at Bungalow on Rainey St.: December 1st at 7 PM. Raffles, silent auction, shave-downs. 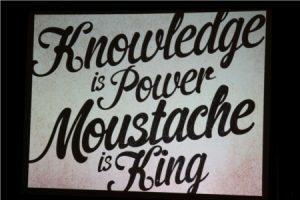 Remember, listen to our whole podcast episode for more details on these fun Movember Austin events. And don’t forget that Torchy’s Tacos is giving a portion of their Taco of the Month proceeds to Movember this month. Also EcoClean Austin is giving 5% of sales from each Wednesday in Movember to the cause! How are you participating in Movember this year?